It is with great sadness that we pass along the news of Jean Barton’s passing on Sunday, August 16th. Jean, or Jeannie to many of you, started Books on Beechwood with Mary Mahoney back in 1994, bravely coinciding their foray into book-selling with the opening of the first Chapters store in Ottawa. It didn’t take long for the two newest Beechwood business owners, and the business itself, to become an essential part of our community. After running the store for almost 20 years, Jean retired, passing the reins onto current owners Brian Sullivan and George Laframboise. All the staff at Books on Beechwood (past and present), some of whom worked with Jean for many years, will miss her a great deal. Even though we may not see her anymore, she will always live on in our hearts and our bookstore. After a full and active life, Jeannie passed away peacefully at home, surrounded by her family. She is survived by her husband Tom, children Doug (Davis) and Alice (Scott), granddaughter Natalie, and sisters Sue and Maria. 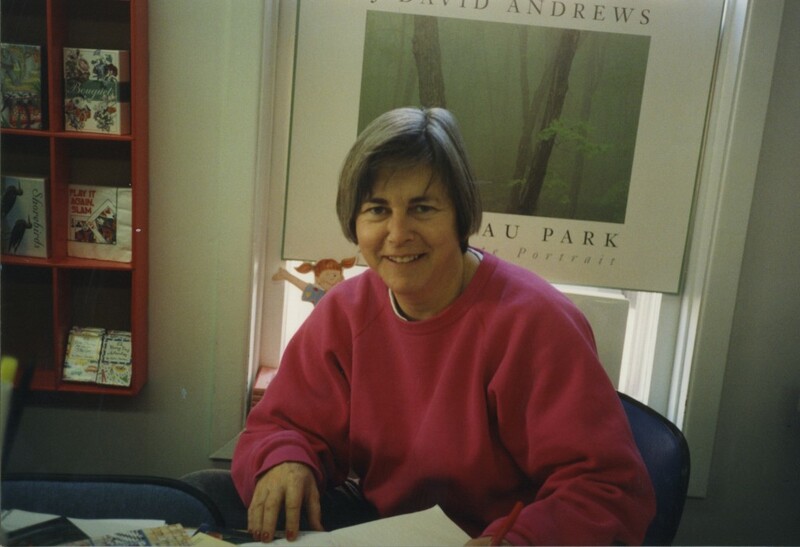 In addition to her vast interests including nature, gardening, painting, skiing, tennis, bridge and traveling, she opened and successfully operated a book store in Ottawa (Books on Beechwood) for almost 20 years. She was definitely her own person, and her unique and infectious laughter warmed many hearts. A celebration of Jeannie’s life will be held in Ottawa on the afternoon of September 13. This book came out last year in hard cover; this is the new paperback edition and very timely for the current election. 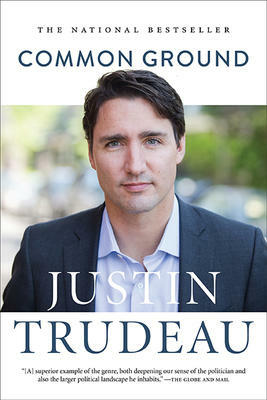 Justin Trudeau, leader of the Liberal party, gives a straight-forward account of his life, first as son of Prime Minister Pierre Trudeau, and now entering politics himself. He tells of living at 24 Sussex Drive, the sadness of his mother’s illness, many trips to British Columbia to visit his Sinclair relatives, and life in Montreal. He got his BA at McGill and a second degree in the Faculty of Education at UBC. He had decided to teach and worked at West Point Grey Academy in B.C. There was tragedy when his youngest brother Michel was drowned in 1998. Back in Montreal, he met Sophie Gregoire, TV host, whom he would marry and start a family with great happiness. He also found himself turning to politics and describes the hard work involved in running as candidate for Papineau riding – which he won. This is a good book to introduce Trudeau and his ideas to Canadian voters. He believes strongly that our country is strong because of the diversity of people who live here. This, and economic achievement, should bring us together on common ground. This is the first full biography of Arthur Erickson, one of Canada’s most famous, though controversial, architects. The author, David Stouck, lives in Vancouver where Erickson had his home base. Now Professor Emeritus of English at Simon Fraser University, Stouck has written biographies of Ethel Wilson and Sinclair Ross. With Erickson, he had a chance to check his material between 2005 and 2009, when Erickson died. The result is a fascinating look at some of the criticisms surrounding famous buildings such as Roy Thomson Hall in Toronto, Simon Fraser University and the Canadian Chancery in Washington. Erickson was born in Vancouver in 1924, when the city numbered barely 117,000 people. At school he quickly showed talent in drawing and sketching and was taught by Lawren Harris, who recognized his talent. He went on to the McGill School of Architecture where John Bland was the distinguished director, and Gordon Webber a brilliant professor. He won a travelling scholarship and set off for Europe as well as the Middle East where he never forgot the beauty of Greece’s Parthenon or Istanbul’s Hagia Sofia. 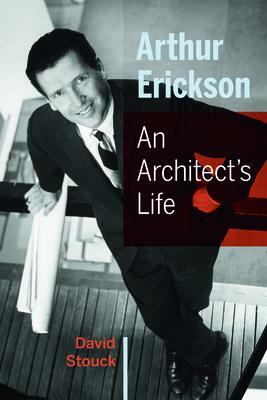 This book takes a fair look at Erickson’s considerable ability and personal charm. He gained fame around the world but this was shattered by a high-living life style that eventually left him broke. There are excellent photos of his work, as well as his famous friends. It is a sympathetic look at many sides of a genius. This is a new edition of Ernest Hemingway’s 1935 book on a hunting safari in East Africa. He travelled with his wife, Pauline Pfeiffer, whose own experiences are recorded here for the first time. 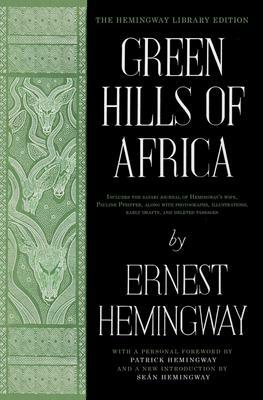 Green Hills of Africa gives a wonderful description of both the beauty of the countryside, and the thrill of the chase. Hemingway tries to explain this thrill at a time even then, when the animals were being threatened by the incursions of man. His wife writes more fully on the lives of the Africans they got to know; their music and dancing and festivals of life. There is also a personal foreword by Patrick Hemingway, the author’s sole surviving son, who spent many years as a professional hunter in East Africa, as well as a new introduction by Sean Hemingway, grandson of the author. There are photographs of Ernest Hemingway with the safari crew and rhino they killed as well as Hemingway with his lion on the Serengeti Plain. There are also copies of his list of trophies, i.e. the animals killed, and some pages from his original manuscript, showing changes he marked. Hemingway’s books, The Sun also Rises and A Farewell to Arms established him as one of the leading literary lights of the 20th century. He won the Pulitzer Prize for The Old Man and the Sea and the Nobel Prize for Literature in 1954. This edition of an earlier book shows how his writing developed.